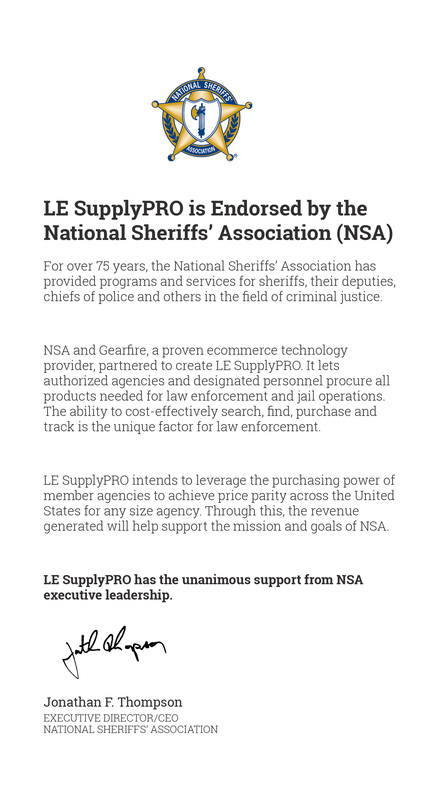 Need a better way to support your Sheriffs and their administrations? 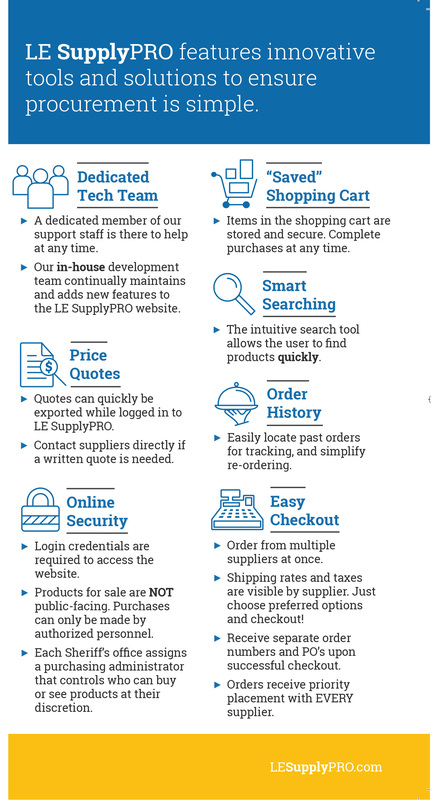 LE SupplyPRO was created to make procurement easy! 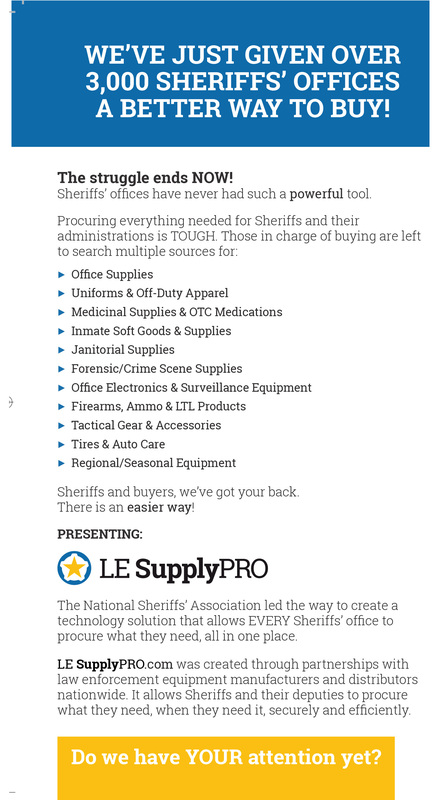 Think of us as the online “superstore” for every Sheriff’s Office in your state. 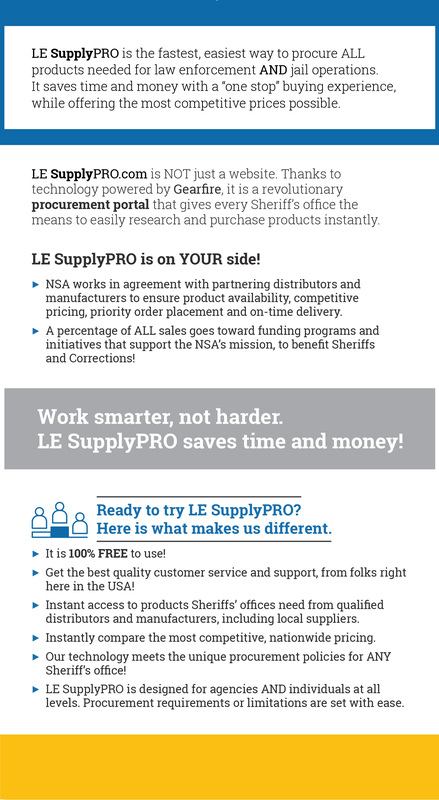 Never before has there been such a powerful resource to purchase EVERYTHING needed to keep Sheriffs safe, and to be sure their offices work efficiently. 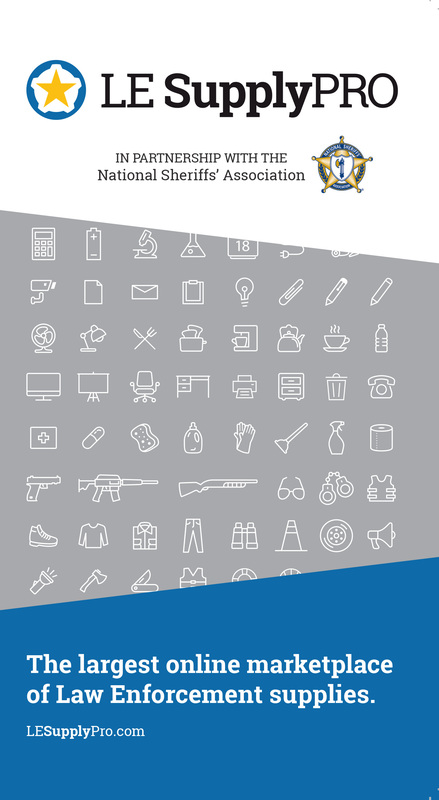 PLUS, a portion of EVERY SALE goes back to the National Sheriffs’ Association to support its mission and goals. This will provide additional funding for education and training programs, member services and other worthwhile initiatives! 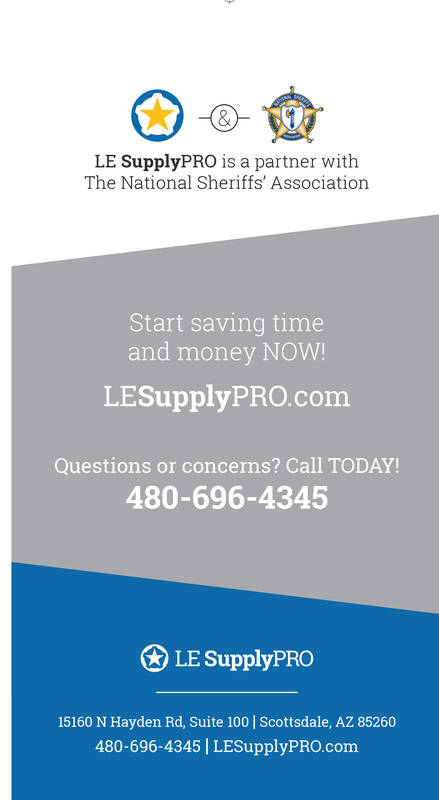 Invite your Sheriffs’ Offices to join NOW!